Chrome is an amazing web browser in so many ways, and one of its very useful features is tab syncing. 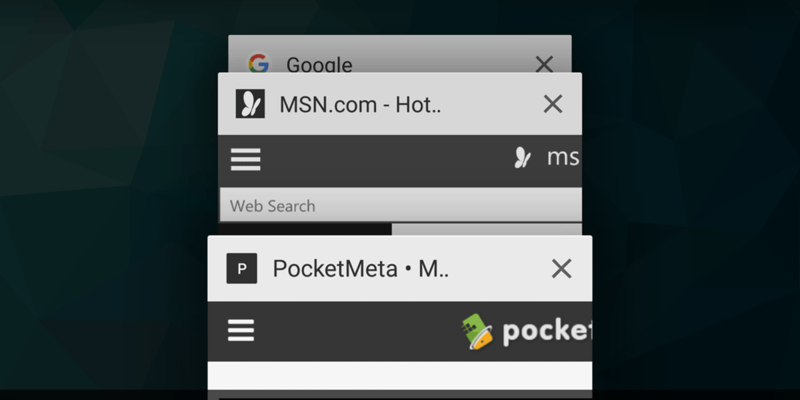 With this feature enabled, the tabs you opened on your PC, can be quickly accessed on your phone and vice versa. Tab syncing is not one of those obscure features, but I do think it’s often ignored. Of course, this can be for any pair of devices, regardless if they’re desktops, notebooks, tablets or smartphones. Say you were reading something interesting and you have to leave right away. There’s no time to email yourself the URL of the webpage but frankly you shouldn’t be doing that even if you had the time. 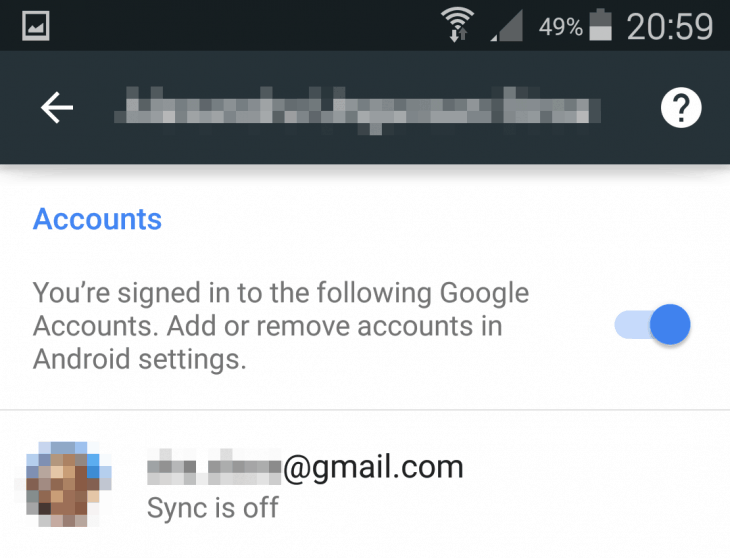 Here’s how you can make sure open tabs can always be accessed on all devices you’re signed in with the same Gmail account. 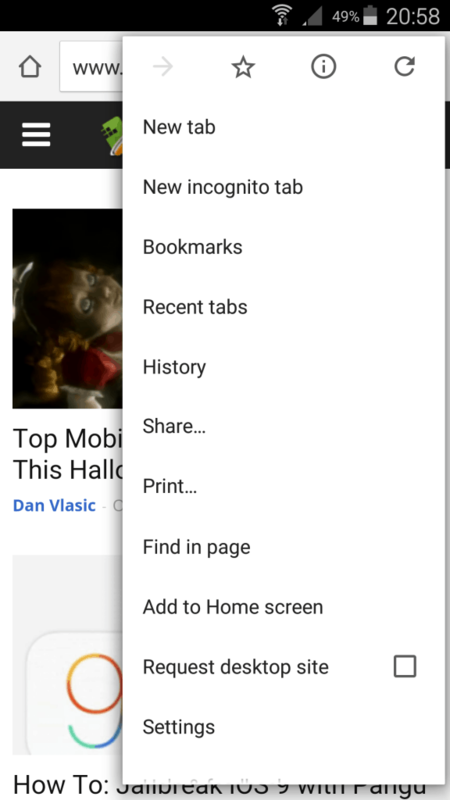 On your Android or iOS device, launch Chrome and tap the menu button that’s right next to the address bar. Tap on ‘Recent tabs’ – yes these are not just tabs you opened on that device, you can see all the recent tabs opened on your account. Locate the tab you wanted to view and tap on it. If this doesn’t work, it’s possible tab syncing is disabled, in which case you’ll need to turn it on. And it has to be done separately on your computer and mobile devices. Make sure you are logged into the same account on all of them, before you proceed. Open the Chrome app and tap the menu button. Select Settings, then tap on your email address. For Android tap on your account once more and on iOS select Advanced. Make sure Sync is on. You can use the ‘Sync everything’ option or toggle it off and select individual items. 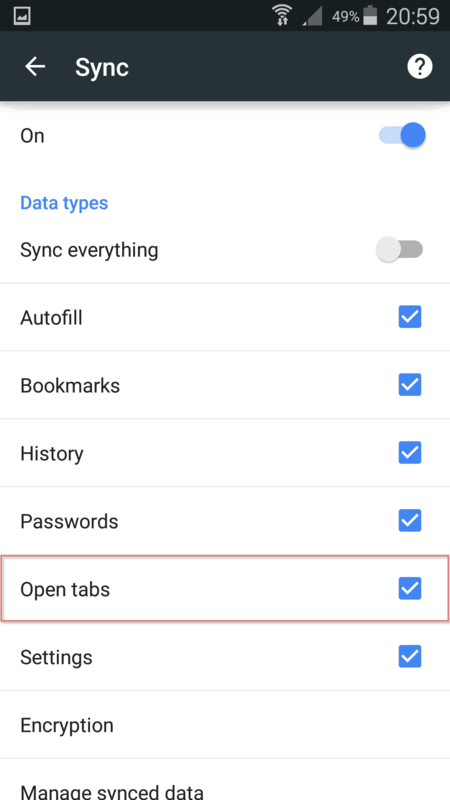 For tab syncing enable the ‘Open tabs’ option. Open Chrome and click on the menu button that’s right next to the address bar. Then click on Settings and select ‘Advanced sync settings’. Enable ‘Open Tabs’ if it wasn’t already or simply use the ‘Sync everything’ option. Are you using tab syncing on Chrome or you don’t find this feature useful? Leave a comment below to let us know what you think or send us a message on Facebook, Twitter or Google+.